Can we please have an all-together-now chorus of “it’s tooooo cold!”. Is anyone else finding it harder-than-usual to adjust to the plummeting temperatures? I was doing ok until about a week ago, when things seemed to take a leap from chilly to arctic. Anyway, with the big freeze only just beginning, I’ve been battling it off with this lovely face and blush powder from Clarins. Part of their Autumn/Winter collection, it gently injects a little warmth and colour without looking “bronzy”. As much as I want a bit of warmth on my face, I don’t want to look like I’m desperately hankering after a bit-part in Benidorm. I will never tire of the classic elegance of Clarin’s packaging. 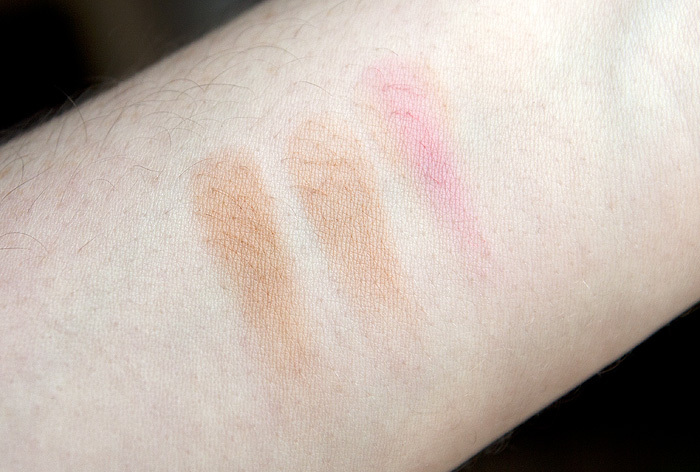 The Clarins Colour Accents Face and Blush Powder offers a trio of shades that should suit all skintones, I’ve swatched them below and you can see that there is slightly less difference on the skin as there appears to be in the pan between the two tan shades. I would say that the darker section is slightly more orange-toned, and the lighter tan a little cooler, which is why this set doesn’t “oompah, loompah” me. Unlike the more summery offerings, this palette is also very matte. 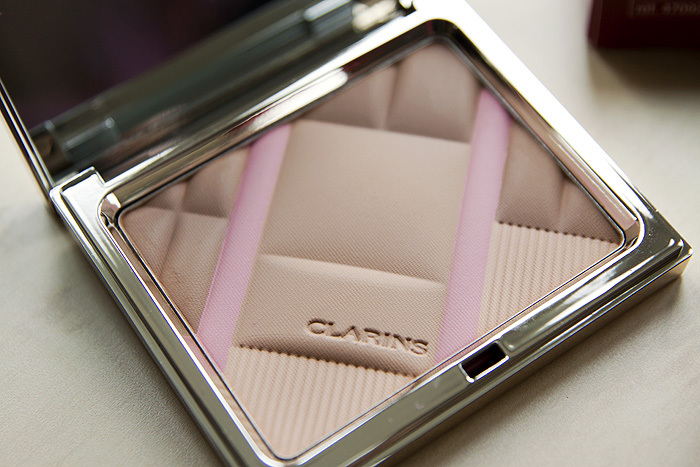 There’s no shimmer and not even a hint of luminosity – which is actually a bit of a shame because Clarins does luminosity in their face powders better than any other brand I know. Having said that, on my skintone, this works more as a blush than a face powder and I don’t have any issues adding some highlighter to my foundation instead. 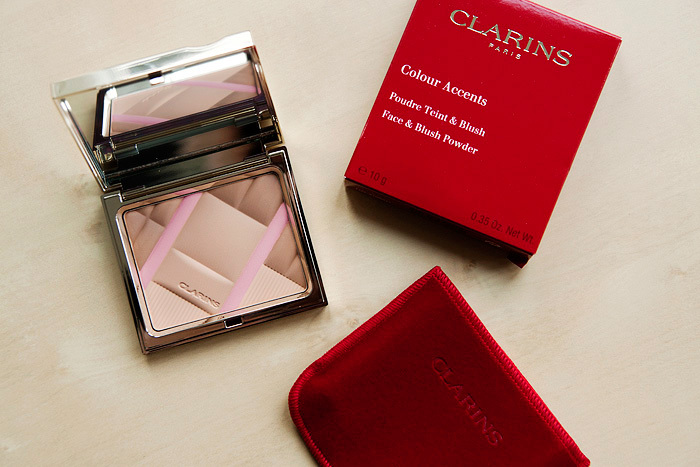 Clarins Colour Accents Face and Blush Powder is a very nice choice for adding some warmth to your complexion without looking like a summer-desperado. It looks gorgeous in the pan. It does look quite a bit more orange-y swatched though which is a little surprising. Food Friday: Diet-Friendly Eggs Benedict!